Made it out yesterday for the first time since spraining my ankle on December 2. Leslie came along for the hike and to take video and photos. 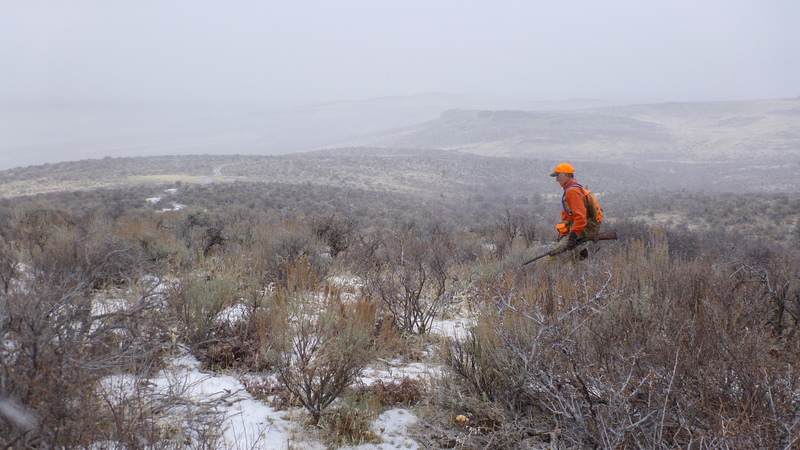 We decided to try a place I hunted a decade ago in the Owyhees. Long drive, but it was nice to revisit some of that terrain, and we did find some birds. Angus was marvelous. He found lots of birds, and retrieved the two I hit without any hesitation. With a stiff wind and snow flurries he had lots to smell, and did a great job of honing in on numerous coveys. Once again, my shooting left a lot to be desired. 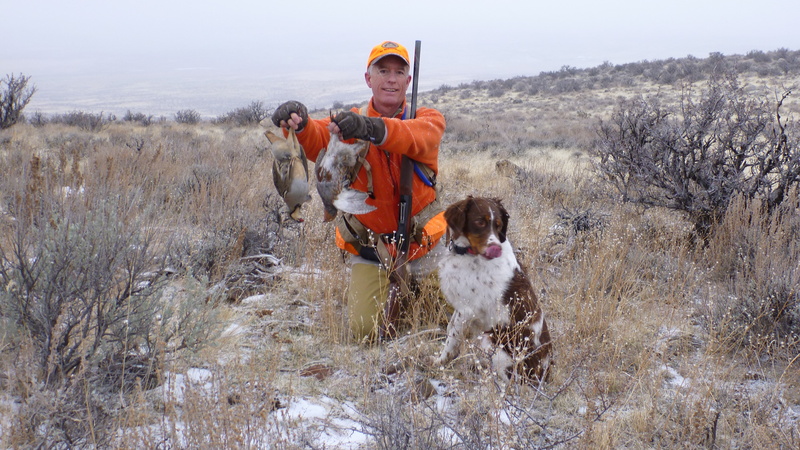 Still, for a 3-hour hike with a gun, we came home with supper and another great experience. It’s good to be back out there for the last days of the season.